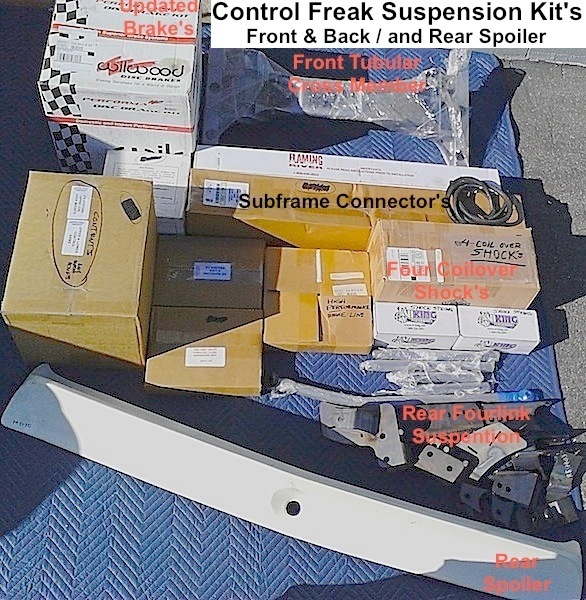 Control Freak Full kit, front and rear, includes full sub frame connectors, vented 12" Wilwood brakes front and rear. My guess would be yes and no Randy. Subframe connectors and brake lines etc would be different.